The annual community Thanksgiving Day meal is served up by donors and volunteers for those in need. PORTLAND — By the end of the day Thursday Don Morrison was pretty sure he wouldn’t be eating any turkey for dinner. “I’ll go home and eat a frozen pizza,” Morrison, the operations director for the Wayside Food Program, said as he wrapped up one of the largest free Thanksgiving Day meals in Maine at the Portland Club. Morrison and the hunger prevention organization’s staff and a small army of volunteers were finishing up a week’s worth of turkey meals, including two lunches and two dinners with all the fixings. Thursday’s meal included 32, 20-pound turkeys prepared by DiMillo’s Restaurant along with 15 gallons of gravy, 200 pounds of mashed potatoes, 100 pounds of squash, piles of homemade stuffing, a mountain of green bean casserole and all the other trimmings and desserts one might expect for a Thanksgiving feast. Joining the food program’s staff in prepping and serving all that food were between 45 to 50 volunteers. Some put in a day in the prep kitchen Wednesday while 30 more chipped in as bus people, waitresses, servers, dishwashers and hostesses on Thursday. Morrison said the Thanksgiving Day meal is special for a lot of people in the community and while the food is good, it’s often the opportunity to eat in the company of other people that’s better for those coming to eat. “To be with other people on the holiday, to me, it’s just as important,” said Morrison, who has worked for Wayside Food eight years. He helps coordinate and prepare some 14 meals a week that are served around the greater Portland area in churches and community centers. He said any leftovers from Thursday would be used in soups, pot pies and other dishes and that turkey would likely be on the menu for some time into the future. “Just like at home,” Morrison said. 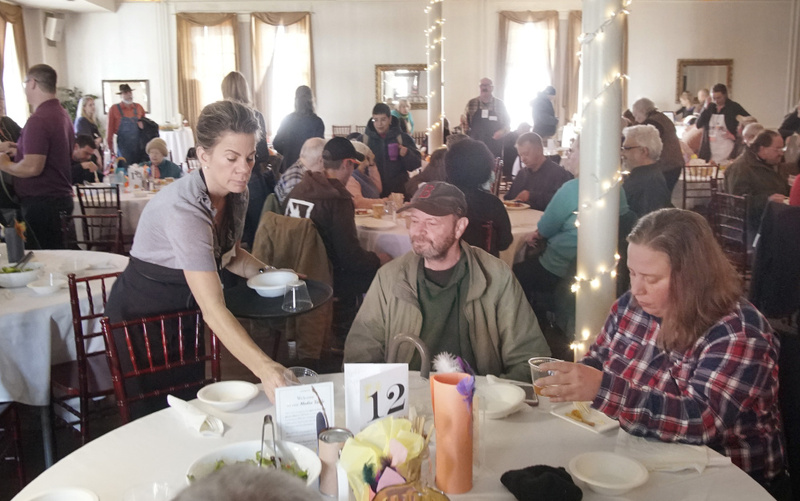 Mary Zwolinski, the executive director of Wayside Food Programs, said the meal, which has been served at the club for about 10 years, has changed a little with a more even mix of men and women – she also noted increasing numbers of elderly coming to the meal. 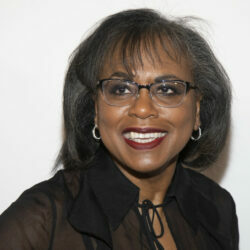 She said even those who may be able to afford their own meal on Thanksgiving aren’t inclined to cook for just one or two and getting to be around other people is an important part of any good meal. Zwolinski estimated the about 225 to 240 meals were served and some in attendance took home leftovers as well as cookies for later. Meal is a collaboration of between Wayside Food Programs and the United Way of Greater Portland. Wayside Food Programs is in its 25th year of operation and its efforts include free community meals, including a weekly meal at the Parkside Neighborhood Center each Tuesday from 5:15 to 6:15 p.m. for seniors and families with children. Through its Food Rescue Program, Wayside distributes food to more than 40 agencies throughout Cumberland County, including food pantries, soup kitchens and shelters. This year the program has rescued nearly 1 million pounds of food that would have otherwise gone to waste, said Laura Hamilton, a development assistant with Wayside, who tracks all the numbers, among other duties. 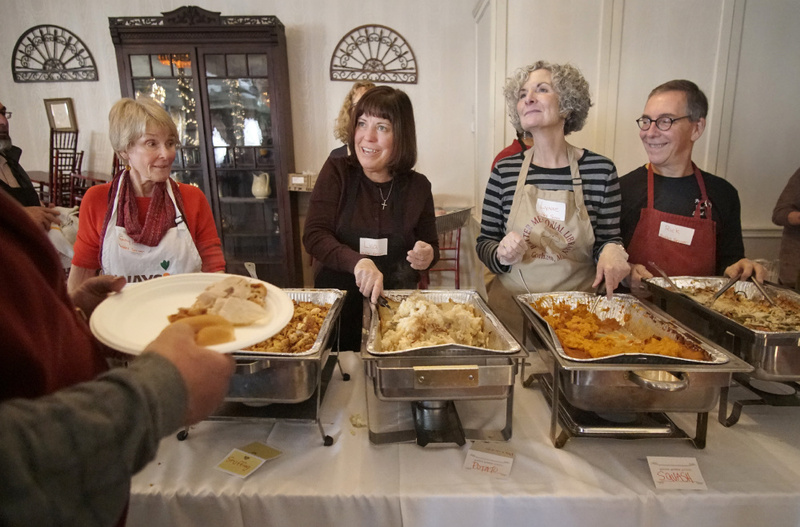 Barbara Bhutto, a Portland resident who works as a special education technician at the Oceanside School, was donating her time as a table host – helping find seats for the guests who came to eat. She delivered beverages, cleared plates and as time allowed she sat and chatted with those who came to eat, making sure they had enough. She served Brian Plourde, who was attending the meal for the first time, a cup of coffee after his meal and then helped him fix it with sugar and cream as he liked it. Bhutto said she donates her time because those who come for the meal make it a rewarding experience for her. “The atmosphere on Thanksgiving Day here is just one of incredible thankfulness,” Bhutto said. “Not everybody has a great home and a car and all the other accoutrements that most of us have, but it just doesn’t matter, it’s just such a thankful room, everybody is thankful and grateful. I get hugs and countless thank yous. It just makes me feel good to help.” Bhutto said she doesn’t think she could be a waitress in real life because she wouldn’t want to listen to customers complain. During Thanksgiving Day there’s very little complaining, she said. Dozens of local businesses donate to the event and volunteers like Bhutto help make sure everybody gets a meal and some company too. “It’s fulfilling to do this, it’s in the spirit of giving, in the spirit of the holidays and it just feels good to serve those who need it,” said Paul Ayoob, of Biddeford, a coffee roaster with Maine Coast Roast. Plourde and others attending said the meal was good and they got plenty to eat. Eric Sorensen and John Campbell said as members of Portland’s recovery community they attend the meal every year because it’s simply a good vibe and fun to be with a cast of downtown characters they’ve gotten to know over the years. Campbell said the ambiance of the Portland Club is nice too.